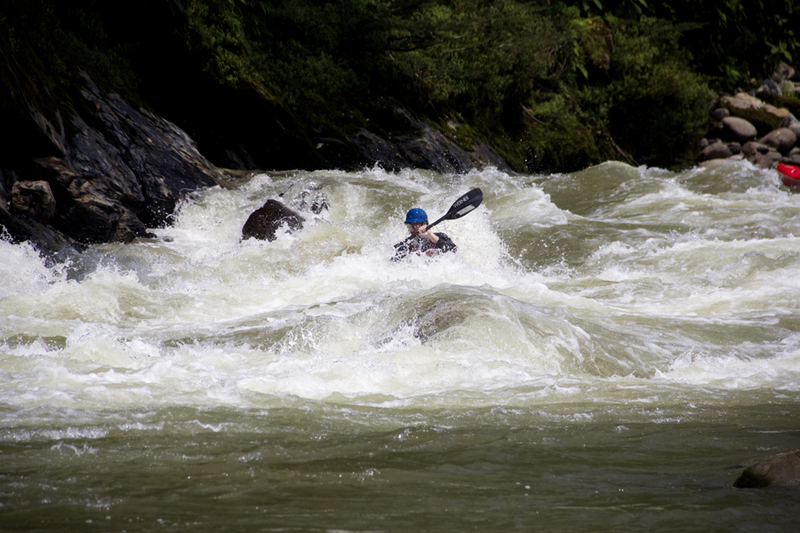 Small World Adventures runs week-long whitewater kayaking adventures in Ecuador. 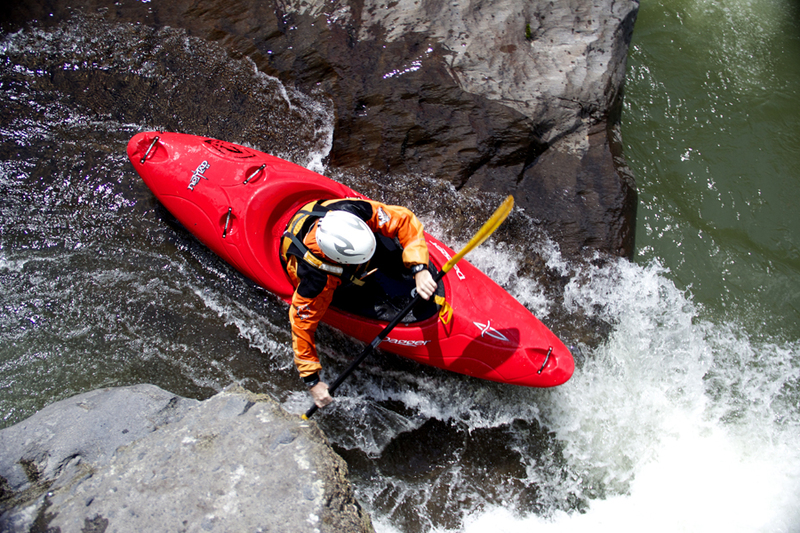 We are there November through March, and we've got it all from steep creeking to big water play runs. 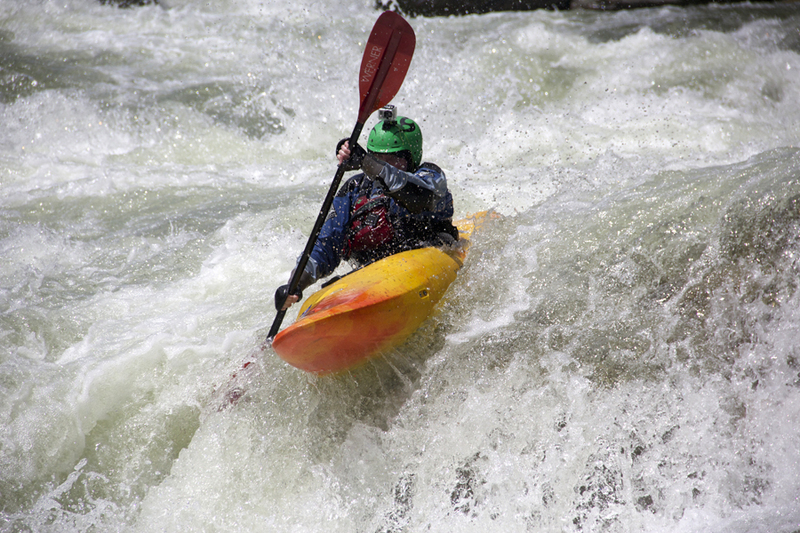 Class II through Class V. If you want a week of amazing kayaking, call us! 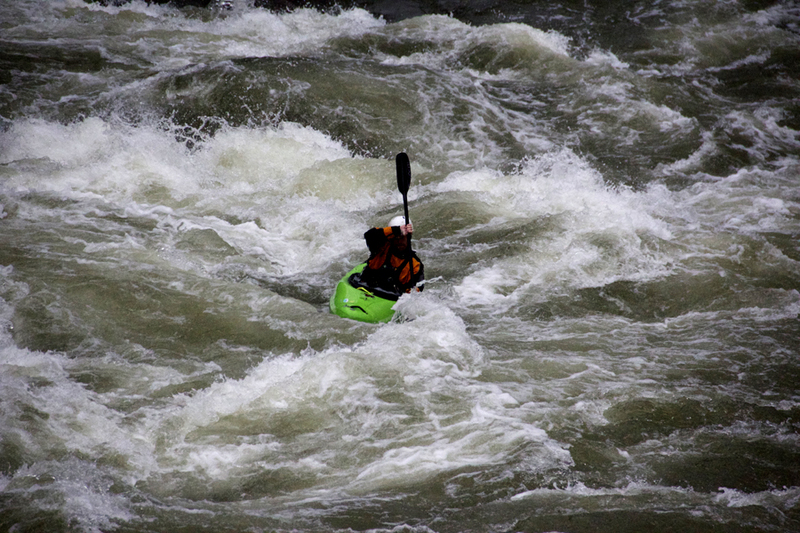 Greg (aka Colorado) boofing the last rapid (aka Fonzarelli) of the Oyacachi at a nice, medium level. One of the most common questions about this area is “what will the weather be like.” Since there is no reliable forecast and not much of a trend week to week the answer is easy, “no one knows”. If you want to try to understand some of the variables that occur in the crease between the Andes and the Amazon basin where we paddle here are some of them. Darcy and Shannon playing amongst the giant boulders of the Chingual River. This is a low flow for this run. 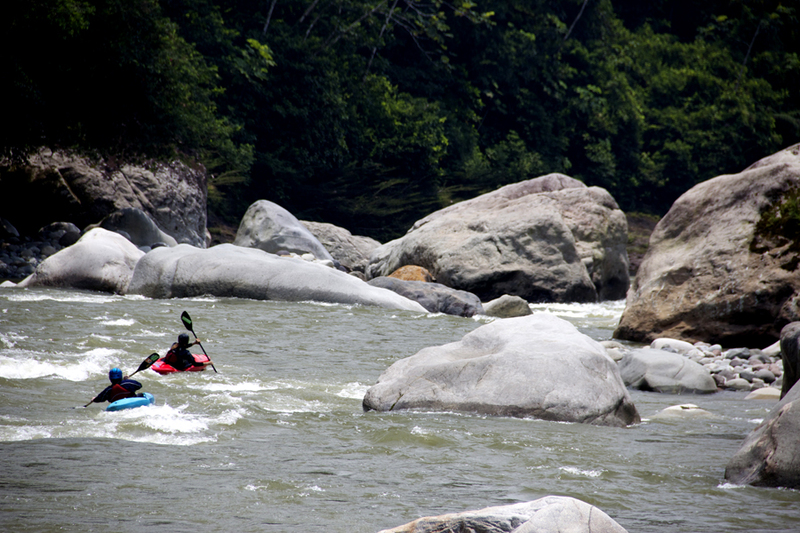 It's definitely "game on" when the water is high and those big boulders are giant pour overs! There are two opposing marine currents that influence the climate of Ecuador’s Andes and coast. From December to May, the warm current of El Niño coming from the north occurs in the Pacific Ocean and for the rest of the year, the cold Humboldt current comes from the south. When one of these currents becomes stronger and persists longer than normal, there are variations in precipitation in the western half of Ecuador. If the El Niño current is stronger and lasts longer than the Humboldt Current, the rains on the continent increase. If the Humboldt is stronger the rains decrease. This fascinating effect can be felt as far away as the western USA influencing our winter snowpack. The entire Quijos Rivers squeezes through this canyon--amazing! Oddly it doesn’t have a huge direct effect of the rain in the upper Amazon basin since the high peaks of the Andes combine with the prevailing eastern winds to keep that moisture away. I just wanted to explain that although El Nino occurs off the coast of Ecuador it isn’t the driving rainfall factor where we kayak. 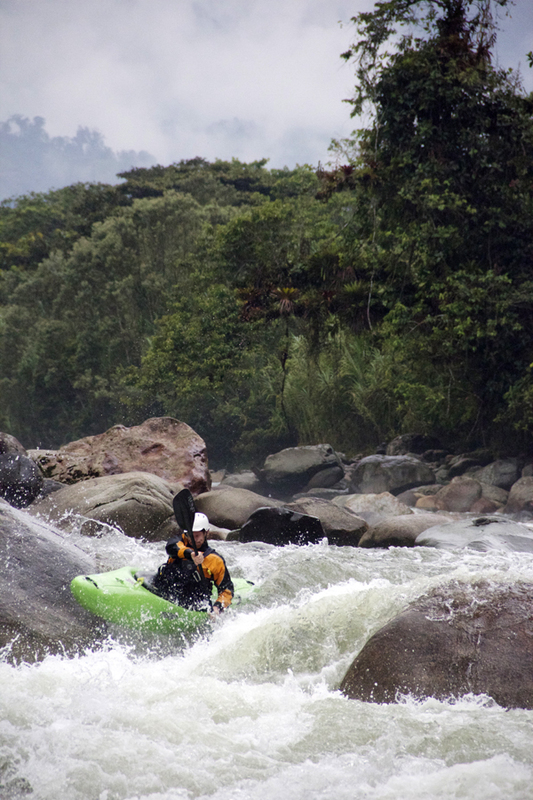 So where does the rain that rules our rivers and paddling lives in Ecuador come from? About half of the precipitation is brought to the upper Amazon basin where we kayak by eastern trade winds, while the other half is the result of evapo - transpiration from the vast forest that covers the basin. Warm days often are followed by convectional rainfall but there is more to it than that. Those eastern winds bring lots of moisture from long distances so although locally hot sunny days have an effect they don’t rule the weather entirely. 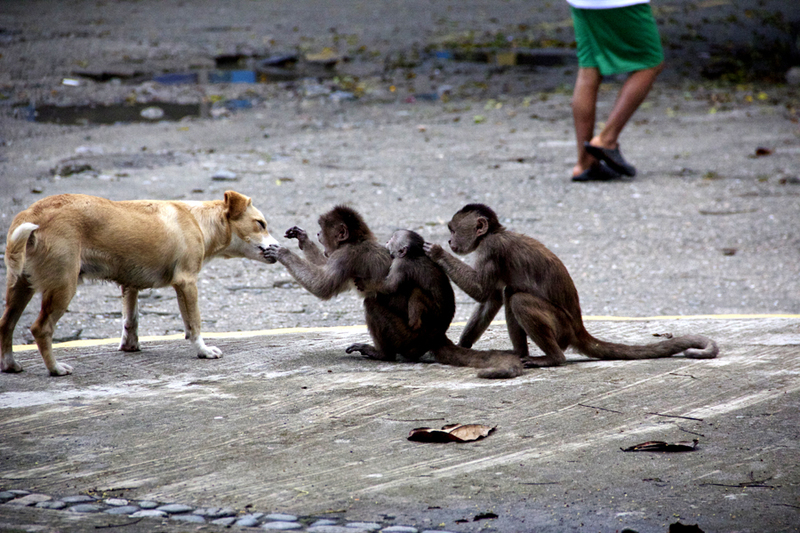 Dogs and monkeys playing together in Puerto Misahualli. This has nothing to do with water levels...but it's cute! Orographic lift occurs when an air mass is forced from a low elevation like the lower super- humid Amazon basin to a higher elevation like the Andes (remember those eastern trade winds). As this humid air mass gains altitude it cools down, which can raise the relative humidity to 100% creating clouds and, under the right conditions, rain. Wet orographic climate is definitely found on the eastern slopes of the Andes Mountains. Greggy enjoying some big water on the Rio Quijos. It's amazing what 3 centimeters of rain overnight can do to the river! So, the rain here is usually caused by both hot days creating convectional rain and orographic lifting from the trade winds. It is kind of a one/two punch that ensures both water in the Ecuadorian rivers and an almost full time job for SWA guides figuring out which run will be the best for the day. The locals have lots of sayings and superstitions about the weather and most of them mean change is on its way. The rainfall and topography create unique mega-diverse forests found in the drainages where we kayak and of course lots and lots of great rivers. 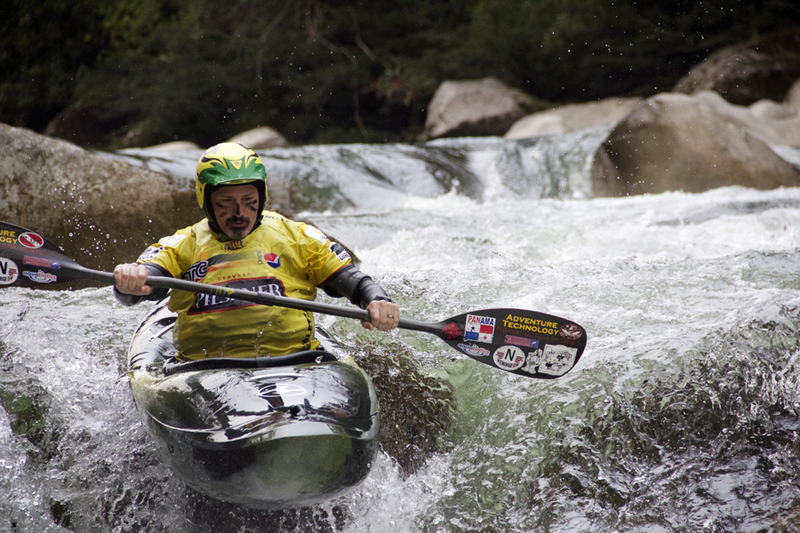 Guy enjoying a splashy big water day on the Rio Cosanga. And, to bring it all full circle, the best answer to the question, “what will the weather be like,” is the only certainty with the weather in Ecuador is that nothing is certain! Last year--2012, our last week of the season, February 25th-March 4th, we had dry weather (less than 2 centimeters of rain for the week), low water levels and the average level on the gauge rock outside of our lodge was 10. Damian, showing the advantages of low water--the boofs are pretty sweet! This year—2013, our last week of the season February 23rd-March 3rd, we had incredibly wet weather (19 centimeters for the week), high water levels and the average level on the gauge rock was 18. But that’s all part of the adventure. On both trips, we paddled great rivers every single day, but, hey, that’s what SWA guides do! 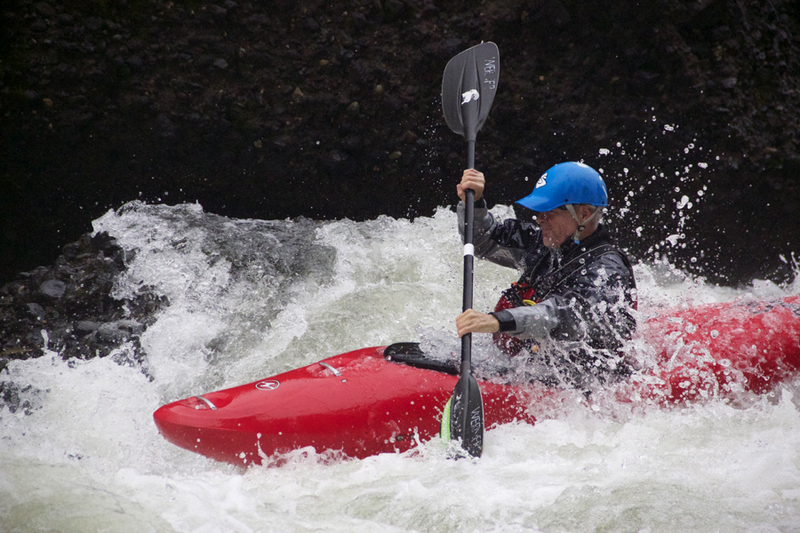 The Kayaking Learning Curve--Find Your "Zone"
Too Busy Kayaking, No Time for Blogging! Patch's World Tour comes to Ecuador!